Our writers give thumbs up to Muse, The Morning Benders and Them Crooked Vultures. Our teen staff recommends a Stephenie Meyer novella and a mystery. Although it was strange and uncomfortable, Emily, 17, still enjoyed this fake documentary. These are letters we received about stories that appeared in the May – June 2010 issue of L.A. Youth. Essay contest: What do you take for granted? Essay contest winners wrote about their parents’ trust, their mother and brother. When I discovered that Breaking Dawn was the end of the Twilight series, I was upset. I wanted more. 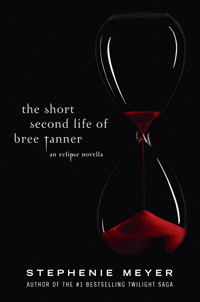 But then Stephenie Meyer wrote The Short Second Life of Bree Tanner, a novella (a short novel) about a war between two vampire groups. I absolutely loved the book because of its action. The novella tells of Bree Tanner’s life as a vampire in the newborn army. In Eclipse, the vampire Victoria creates the newborn army to avenge the death of her mate, James, who was killed by Edward Cullen. When I heard there was going to be a war between the Cullens and Victoria’s newborns and I might lose some of my favorite characters, it made me excited to read Eclipse. But there’s no action in the book because it’s told from Bella’s perspective and she’s kept away from the war. But Bree was actually at the war. Since The Short Second Life is from Bree’s perspective, it let me read about the war and gave me an insight into the amazing power of a newborn vampire. Even though newborns are supposed to be bloodthirsty, Bree is sweet, caring and compassionate and doesn’t want to kill anyone. The novella introduces a new vampire, Diego. Bree and Diego become friends because they are not as crazy, reckless and bloodthirsty as the other newborns. One early morning Bree and Diego cannot return home before sunrise, and they discover that they don’t burn in the sun. Diego decides to tell their secret to Riley, the parental figure of the vampires. When he and Riley don’t return home, Bree begins to worry. Riley eventually arrives home without Diego. I started reading the book faster because I wanted to know what happened to Diego. I felt like Bree; I was extremely worried. Riley then warns the vampires that something is coming. Waiting for the war was worth it. The most thrilling part of this novella was when Bree was running to the battle. I was so excited. I wondered, “What will happen next?” I read with my mouth hanging open as Bree watched people she knew being ripped apart and burned. Even though I had read Eclipse and already knew what happened to Bree at the end of the battle, I was still excited to read this book. I would suggest it to anyone who wants to read more of the Twilight saga. Some may say Twilight is only for girls, but I would suggest this book to anyone because of the action and thrills. 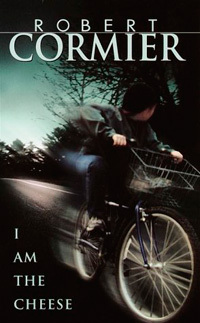 Robert Cormier’s I Am the Cheese is a captivating psychological thriller centered around a 14-year-old boy named Adam Farmer who desperately tries to sort out the mysteries from his childhood. I don’t usually read books fast, but I finished this book in one day, and kept thinking about the ending for days afterward. The book begins simply: Adam is riding his bike from Massachusetts to Vermont to reach his father and give him an important package. However, along the way odd occurrences cause memories of Adam’s father and strange childhood activities to resurface. He remembers his family being on the run and taking a train in the middle of the night, but he didn’t understand why they had to leave. He remembers a man coming into his house a lot during his childhood, but Adam realizes that he never really knew who the man was or why he was there. He also comes in contact with a scary dog while he’s riding, triggering the memory of him and his father fighting off a dog while running away from something or someone. His father always seemed to act strange around him, but as a child, he accepted it. Now Adam realizes that he didn’t have a normal childhood, and he is eager to find out why. Adam struggles to solve the mystery of why his father acted the way he did and why his childhood was so confusing. While reading, I was catapulted into a roller coaster of emotions—fear, anger and confusion. There are alternating chapters, so one chapter describes Adam’s bike journey, and the chapter right after shows an older Adam talking with a psychologist about the memories he has of his dad. The one criticism I have is the ending. I thought I had solved the mystery, but hours later, I was thinking about the ending in a totally different way. I wish that Cormier had made it easier to understand what happens at the end of the book so it wasn’t so confusing. But maybe its purpose is to force readers to challenge what they think they know about Adam and his father. Anyone looking for a powerful, emotional, gripping mystery should read this book. It’s very different from the books I normally read. I like to read teen romances with happy endings, like How to Be Popular, or teen murders with romance tied in, like the Pretty Little Liars series. I liked this book because I was suspicious, excited and confused all at the same time. I kept thinking about it for days after I read it to try to put all of the pieces together. I promise that you will, too.